Easter is just over a week away and this weekend offers a wide array of holiday events to enjoy. The Easter Bunny is known for hopping around but not always. There are times when he (or she) opts for a different form of locomotion – with real locomotives. Sometimes, instead of bouncing along the ground, the big happy rabbit rides a train. 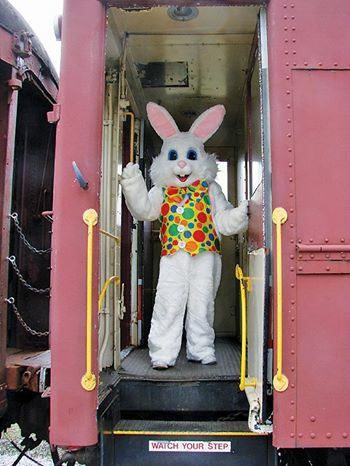 This weekend, the holiday bunny will be riding trains all around the area. The West Chester Railroad (610-430-2233, www.westchesterrr.net) is running its Easter Bunny Express on March 24 and 25 with trains at noon and 2 p.m. each day. The Easter Bunny will also be down in Delaware for trips on the Wilmington and Western Railroad (Greenbank Station, 2201 Newport-Gap Pike, Wilmington, Delaware, 302-998-1930,www.wwrr.com) on March 24, 25, 30 and 31. The museum offers this invitation — Enjoy a morning at the Museum and we’ll fix a pancake breakfast for the whole family. After a wonderful meal, watch your children delight as they hunt for treat-filled eggs in our egg hunt through our gardens. Visitors to the museum are advised to dress accordingly for an outdoor egg hunt. In the event of inclement weather, the egg hunt will be moved inside. 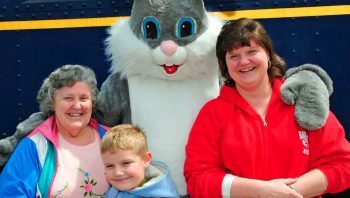 On March 25, the Historic Odessa Foundation’s “Annual Easter Egg Hunt” will take place in Odessa’s historic district (Main Street, Odessa, Delaware, 302-378-4119, www.historicodessa.org) from 2-4 p.m. Kids will have plenty of opportunities to find the hidden eggs based on sheer volume at this egg-stravaganza. More than 7,000 candy-filled Easter eggs will be hidden on the grounds of the Corbit-Sharp House, a National Historic Landmark and Underground Network to Freedom site. This free annual Easter Egg Hunt is hosted by the Historic Odessa Foundation, which owns and operates the Historic Houses of Odessa. Designated areas will be set aside for two age groups: Pre-K through second grade and third through fifth grades. Following the hunt, age-appropriate crafts will be held in the Wilson-Warner Barn. On March 24 from 11 a.m.-1 p.m., there will be a “Spring Scavenger Hunt” at Upper Schuylkill Valley Park (1600 Blackrock Road, Royersford, 610-948-5170). The park guides have issued an invitation for people to come to the park and help them welcome spring. Visitors can wander along the pathways of the site while learning fun and interesting facts about springtime from the park’s resident creatures that they encounter along the way. Other activities at Montgomery County parks this weekend are “Easter Workshop for Kids” on March 24 at 1 p.m. at Pennypacker Mills (610-287-9349); Saturday, March 24th at 1:00 pm “Color Your Eggs – Naturally” on March 24 at 1 p.m. at Green Lane Park (215-234-4528); and “Eco-Egg Hunt: on March 25 at 2 p.m. at Norristown Farm Park (610-270-0215). It may come as a surprise but not all Easter egg hunts are for kids. There are times that those hunting Easter eggs inadvertently find rocks instead of eggs. There is an event this weekend where participants will be specifically looking for rocks. On March 24 and 25, the Delaware Valley Paleontological Society and the Philadelphia Mineralogical Society is presenting its “38th Annual Philadelphia Mineral Treasures and Fossil Fair” show and sale at the LuLu Shriners Temple (5140 Butler Pike, Plymouth Meeting, 610-828-9050, http://dvps.essentrix.net/fossilfair.htm). Other special attractions include a fluorescent minerals room, lapidary and jewelry displays, educational materials, door prizes and a food and beverage concession. Longwood Gardens has been honoring blue flowers – one of the rarest colors for flowers — with a special celebration. The site’s horticulturists have researched, acquired, and grown hundreds of blue-hued blossoms and foliage to adorn the Orangery and Exhibition Hall. Longwood Gardens is not just celebrating the blues visually. Every Saturday, visitors to Longwood can hear the sounds of the blues when the venue presents a series of blues artists performing live in the Conservatory. A free concert will be performed by Stevie & the Bluescasters on March 24 from 2-5 p.m. 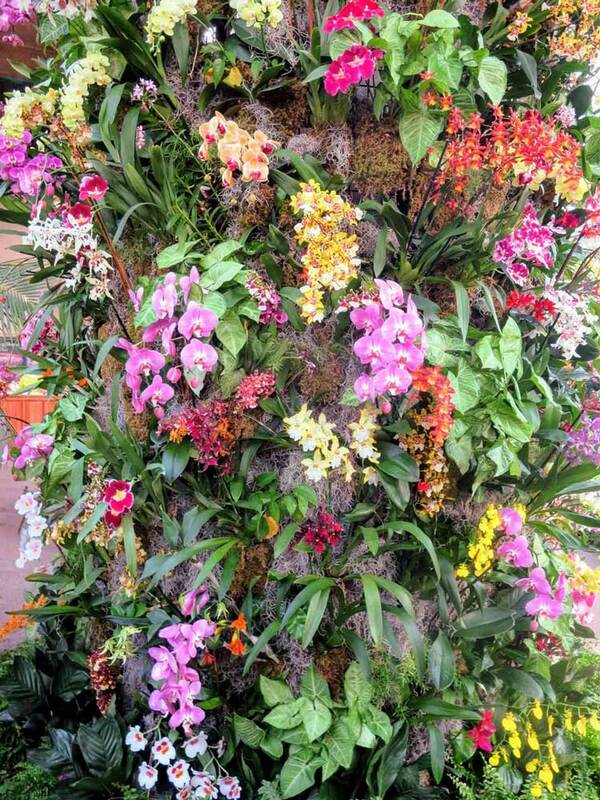 The largest family of flowering plants in the world is the orchid — a flower that is acclaimed as one of the most beautiful, delicate and graceful flowers in the world. The Royal Botanical Gardens of Kew list over 20,000 accepted species with about 800 new species added each year. Additionally, horticulturists have more than 100,000 hybrids and cultivars. The celebration of the orchid species features thousands of orchid blooms along with a variety of displays and special exhibits throughout its four-acre conservatory. “Orchid Extravaganza” will also feature stunning displays of orchids in planting beds, containers and innovative exhibits. The Bucks & Montgomery County Home Show will be held from March 23-25 at the SMG SportsPlex (654 York Road, Warminster, 888-560-3976, www.acshomeshow.com). The race is scheduled for March 24 at 7:30 a.m. at Three Logan Square (1717 Arch Street, Philadelphia, http://action.lung.org, 610-941-9595). Standing 739 Feet, Three Logan Square is one of Philadelphia’s landmark skyscrapers. The 57-story red granite tower is located in the heart of Philadelphia’s Central Business District and boasts a significant skyline presence. “Fight for Air Climb” participants will race up 50 of the 57 floors. When they finish the uphill run over 1,088 steps, they will experience what it is like to live with lung disease. “Century Climbers” are even bold enough to take on the stair climb twice! Participation in the event will raise lifesaving funds to provide education, research and advocacy to our community. Participants are required to pay a registration fee and raise a minimum of $100. If you can’t climb but want to participate, you can register as a virtual climber. Money raised at the Climb allows the American Lung Association to fund lung research, programs for lung disease for adults and children, tobacco prevention and cessation programs, advocate for clean and healthy air (indoors and outdoors), and more. After the climb, friends, family, participants and sponsors are invited to the City Tap House (3925 Walnut Street) for awards and celebration. Participants will receive complimentary food and drink specials. 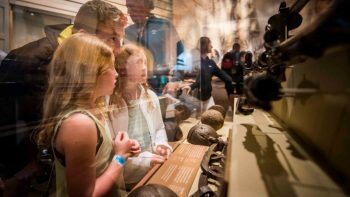 During Spring Break from March 24-April 8, 2018, the Museum of the American Revolution (101 South Third Street, Philadelphia, 215-253-6731, www.amrevmuseum.org) will offer family-friendly activities and daily demonstrations that explore what life was like for the Continental Army and its followers during that spring of 1778. Visitors are invited to try their hand at early American crafts, trades, and skills including shoemaking, tailoring, and fencing. Kids of all ages can try on Revolutionary-inspired clothing, design a flag, decode secret messages, and practice drilling like a Revolutionary soldier in the Museum’s Patriots Gallery from 11 a.m-5 p.m.
At an archaeological conservation station on Tuesdays and Thursdays from 1-3 p.m. 1 – 3 p.m. in Patriots Gallery during Spring Break, visitors can get a closer look at objects from archaeological excavation of the Museum’s site prior to construction of the building. The nearly 85,000 artifacts uncovered during that excavation provide a rare opportunity to examine the things left behind by the people who lived and worked there. Admission to the museum is $19 for adults and $17 for youth (ages 6-17), seniors (65 and older), students and military (with an active ID). The 42nd Annual Gap Fire Company Mud Sale & Auction will be held on March 23 and 24 at the Gap Fire Company (802 Pequea Avenue, Gap, 610-593-2480, http://www.gapfire.org). 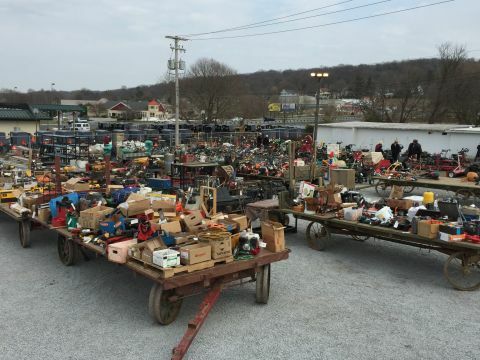 The list of items that will be on the auction block includes antiques, nursery stock, lawn furniture, quilts, wall hangings, crafts, needlework, farm machinery and more. The Gap Fire Company’s annual spring “Mud Sale” auction will be held on the fire company grounds on March 23 — starting at 4:30 p.m. followed by crafts at 5 p.m. and shrubbery and flowers at 6:30 p.m. The Saturday auctions will start at 8 a.m.
For shoppers who get hungry, there will be Chicken Bar-B-Q, homemade soft pretzels, ice cream, strawberry pie, baked goods and other homemade food items. 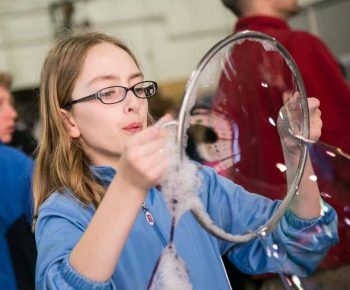 The 2018 edition of the “Science is Amazing Festival” is scheduled for March 24 at the Lancaster Science Factory (454 New Holland Avenue, Lancaster, 717-509-6363,http://www.lancastersciencefactory.org). The event, which will run from 10 a.m.-4 p.m., will feature free admission to all Science Factory exhibits and special science activities along with demonstrations and fun for the whole family. Children age 15 and under must be accompanied by an adult. Special science demonstrations and activities will be presented by Science Factory volunteers, area schools, science clubs, universities and Lancaster youth organizations. 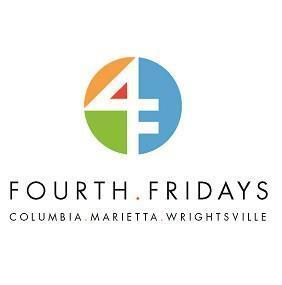 The fourth Friday of every month is a special community celebration in the Susquehanna “River Towns” of Columbia, Marietta, and Wrightsville (http://parivertowns.com/). Visitors are invited to come out on Fourth Fridays from 5-9 p.m. when restaurants, shops, and attractions open their doors to special events. Participants can take a self-guided tour each month, and visit galleries, antique shops, specialty shops, and restaurants throughout the area. They will also have the opportunity to view exhibits from local artists and enjoy special promotions in these unique towns.